Welcome to SitcomsOnline Digest! This is the week that we like to call "the week we tried," because it's perhaps the slowest news week of the year as we prepare for the new year. In the meantime, we do have some news about the most watched show of 2018 (it's not what you'd expect, or maybe it is) and a few new programming acquisitions for networks in 2019. Let's get going! 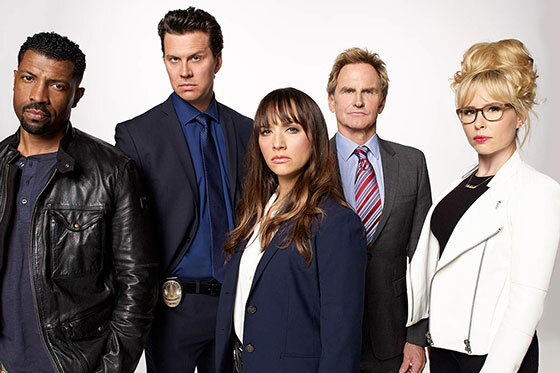 The fourth season of Angie Tribeca debuts tonight on TBS. Believe it or not, Decades is airing Greatest American Hero all weekend long. Syfy will be starting their annual Twilight Zone marathon on Sunday night. If one Twilight Zone marathon isn't enough for you, Decades will be airing it as well for 12 hours every weekday next week. The Office debuts on both Nick at Nite and Cozi on Tuesday.